Choosing the right litter box is the most surefire way to keep unwanted odors at bay. These days, there are many effective options on the market, some even containing filters to eliminate odors at the start. Opt for a clumping litter, like Dr. Elsey’s Cat Attract or World’s Best Cat Litter which both receive rave reviews for keeping messes at bay. We recommend scooping the litter box daily, and changing it out at least once a week. One trick? 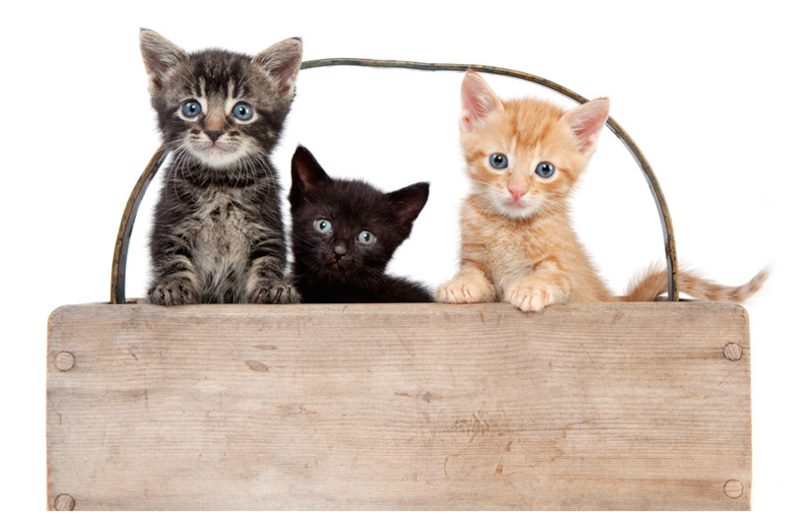 Try sprinkling baking soda at the bottom of the litter box. Many cat owners swear by this easy method. Treat the litter room with odor neutralizers. We swear by Magic-Zymes all Natural odor remover, which effectively eliminates odors, quickly and permanently. Keep your cat clean! Cats are good at maintaining their hygiene, but scheduling in a routine grooming session will ensure that your kitty is extra clean. At Pampered Pets, we employ only the highest skilled groomers, and we use the best pet-specifics products for your four-legged friend. Vacuum as much as you can. Vacuuming not only gets rid of cat hair and dander, it minimizes the smell, too. If you can, consider investing in a strong vacuum with an attachment for furniture, carpets, and curtains. Lastly, if you detect a funky smell coming from your cat himself, consider taking him to the vet, as it may be an indication of a more serious health problem.